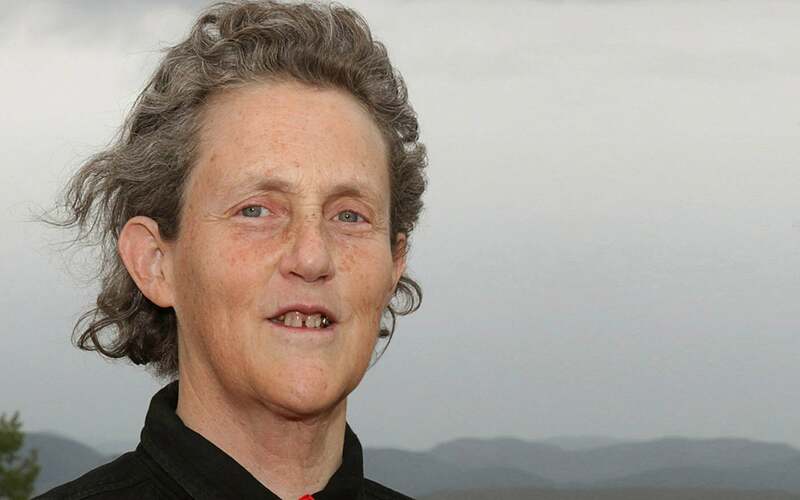 Temple Grandin, Ph.D., is a professor, best-selling author, animal behaviorist, and autism self-advocate in top demand as an international speaker. An extraordinary inspiration for autistic children and their parents, she is the subject of the Emmy and Golden Globe winning HBO film, Temple Grandin, starring Claire Danes and Julia Ormond, and she was also one of Time magazine’s 100 most influential people in 2010. Diagnosed with autism when she was three, Dr. Grandin’s mother rejected her doctor’s advice to institutionalize her, and provided her with intensive speech therapy, a structured home and a nurturing school environment. Later, with encouragement from her high school science teacher and an aunt who ran a ranch in Arizona, Dr. Grandin pursued a career in animal science. With unique abilities to think visually and recall small details she began to design humane live-stock handling equipment, eventually revolutionizing the industry. Today over half the cattle in North America are handled in a system she designed. Other professional activities include developing animal welfare guidelines for the meat industry and consulting with McDonalds, Wendy’s International, Burger King, and other major companies. Dr. Grandin has authored over 400 articles in both scientific journals and livestock periodicals on animal handling, welfare, and facility design. In her book, Thinking in Pictures, she makes the case that the world needs people on the autism spectrum: visual thinkers, pattern thinkers, verbal thinkers’ In a recent interview she stated, “I read in the paper that Google was starving for talent. Well, these geeky, quirky kids, we need to get them interested in science. They’re not going to get interested if they’re not exposed to it.” Of her many books, Animals in Translation and Animals Make Us Human were both on the New York Times best seller list. Dr. Grandin’s numerous awards include honorary doctorates from McGill University, University of Illinois, and Duke University. She is a fellow of the American Society of Agricultural and Biological Engineers, and a past member of the board of the Autism Society of America. Dr. Grandin obtained her B.A. at Franklin Pierce College, her M.S. in Animal Science at Arizona State University, and her Ph.D. in Animal Science from the University of Illinois. She is a professor of Animal Science at Colorado State University.